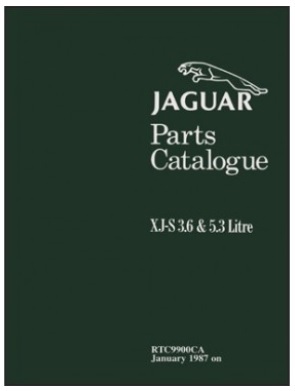 Jaguar XJS Parts Book. Covers 6 cylinder 3.6 & 12 cylinder 5.3 engines from Jan 1987 to 1991. Re Print of the original Factory Parts book, Very useful for part numbers and good guide to what parts go were or if anything missing if you have a jigsaw restoration on your hands. 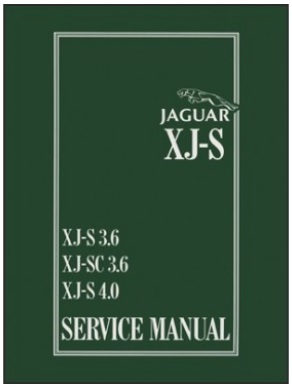 This manual and supplement covers the 6-cylinder pre-Facelift XJS 3.6, XJSC 3.6 & XJS 4.0ltr AJ6 engine models. The supplement covers later vehicles, dealing with those changes brought about with the introduction of the automatic transmission, 4 Litre engine, ABS brake systems, body & more.